Approximate dimensions for this box are, 545mm wide, 604mm high and 435mm deep. 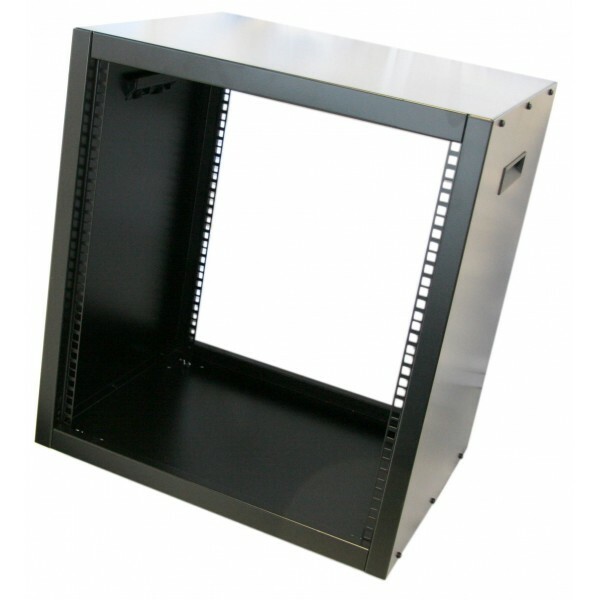 Equipment can be mounted from either side, as there are rack mounting holes both sides, which are recessed around 25mm. distance between front and rear rack profile is 390mm.